"Bondi" or "Boondi" is an Aboriginal word meaning noise of water breaking over rocks. Beach, Surf, Markets, Sculptures by the Sea, Bondi Rescue and the extravagant Bondi Hipsters. Bondi is an eclectic melting pot of tourists and locals. Bondi's golden crescent and clear, turquoise waters never fail to impress offering many options to peace out and nurture your mind, body and soul where morning runs, dawn surfing and AM yoga are part of your daily routine. But there's more to love about Bondi than the sand and surf. 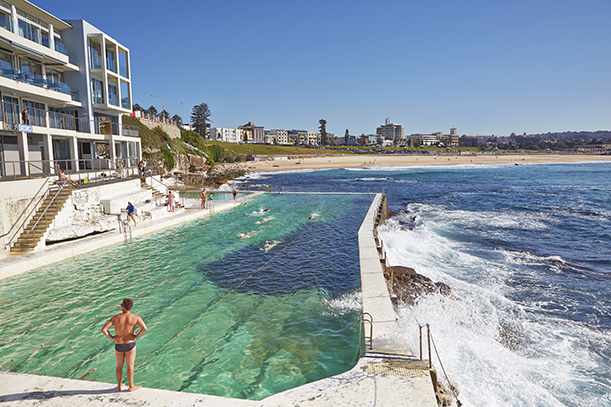 A burgeoning food and bar scene, one-off fashion boutiques and world events have made Bondi Beach one of the city's most glamorous destinations. Whether it's a brekkie or a sandy-footed post-swim snack, you'll find somewhere great to eat with plenty options among alfresco cafés, weekend markets and popular bars. Stay awhile and you too will be hooked with now one of Sydney's most exciting emerging food and drink hubs. Hey Tom have local property managers in the Bondi area and surrounding Eastern suburbs. We are experts at managing properties in this area and have a dedicated team to make sure that you get the best result possible. Summer is coming! So make sure that you are ready to experience the rush and take advantage of the high season in Sydney which brings thousands of extra bums to the beach each year.